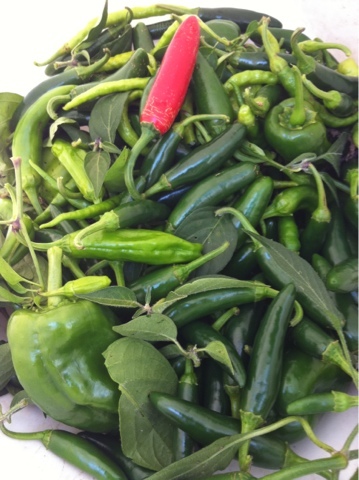 We have never really grown peppers before, neither sweet nor hot. It turns out that what I pulled out as weeds was actually what we were working to grow. Also early on they need water and warmth and light...a little higher maintenance a bit earlier and longer than we realized. We got this now, and next year will even have sweet peppers: bell and bull nose both. Eggplant too, we have grown them this year, not enough but now we know how. Yum.